Progress being made on Prairie Gathering. This week I am working on round 11, one more to go! 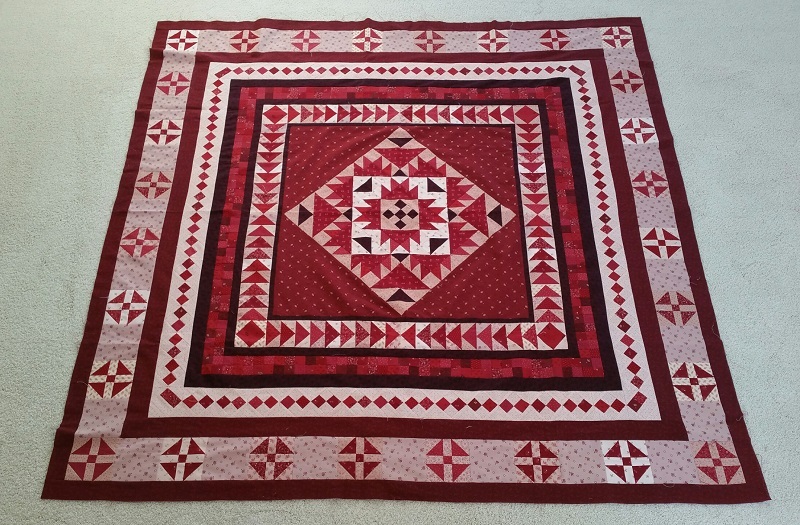 Bullseye quilt is also on the Design floor. I am short two blocks, so will be working to finish them up this week and get this put together. 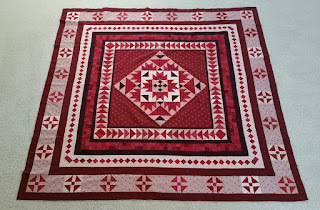 I was going to try to make two quilts, but just don't have enough blocks and I did not want to make any more. So one quilt it is! I hope to have both tops completed this week. Both of these quilts are part of my UFO list for this year. It is nice to get a little ahead! See more great projects at Patchwork Times. Congrats on completing both tops from your UFO List. Both of your projects are looking terrific!